We hear a lot of rumors, and rumors of rumors, about China in the US. Some of them are true, some of them are half-truths, and some of them aren’t valid at all. China does have a one-child policy, although how it’s painted in the West may not always be how every city and cadre in China enforces it. This post isn’t meant to be critical in nature, regardless of the opinions of the author or audience, but to be informational, educational, and offer a balanced viewpoint. China’s one child policy, instituted in 1979, looks like this: 4:2:1. That’s two sets of grandparents, one set of parents, and the child, which some refer to as the “little emperor.” When that child gets married and his parents age, he and his spouse will be expected to take care of both sets of parents as they get older. One child is more complicated than it might seem. How would you answer the question “what is the weather like in the United States”? Well, that depends on where in the US, doesn’t it? The same is true of many issues in China – it depends on which part you’re referring to because different areas have different laws or enforce them in a different way from other areas. For instance, city living vs. country living, province, ethnic group (did you know that China has 56 ethnic groups? ), spacing between children, income level, etc. Depending on these factors, there are actually families who are allowed to have two children. There are also other ways around this for the wealthy upper class. I have several students who have a much-younger sibling (or they themselves) who does not have Chinese citizenship because their parents went to the US, Canada, Hong Kong, the UK, or Australia solely for the birth (and subsequent foreign citizenship) of their second child, and to circumnavigate China’s family planning rules. 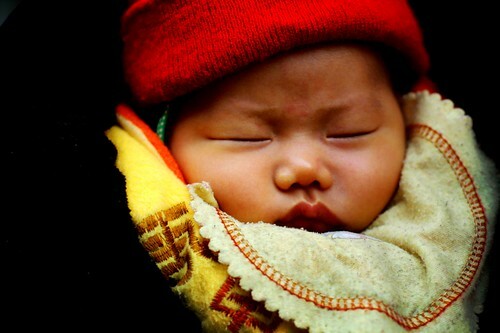 …it was startling that Xiao Liu was expecting a second – legal – baby. Ms. Liu, 30, and her husband are both singletons, born after the Chinese government’s 1979 decision to shrink most families to one child. That makes Ms. Liu and her husband a “double-single” couple. The catchy categorization, however, hides a grimmer truth: life or death for an unplanned baby. I hope you’ll check it out. For this post, comments criticizing this system or hmn rghts will not be published.